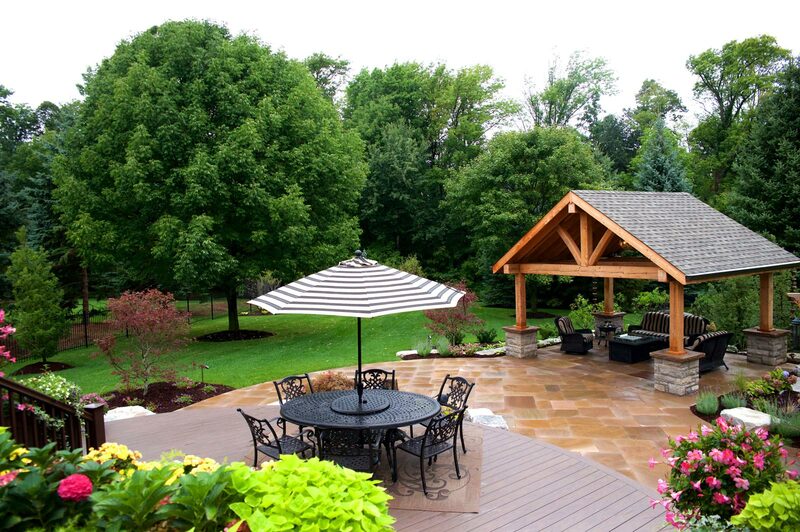 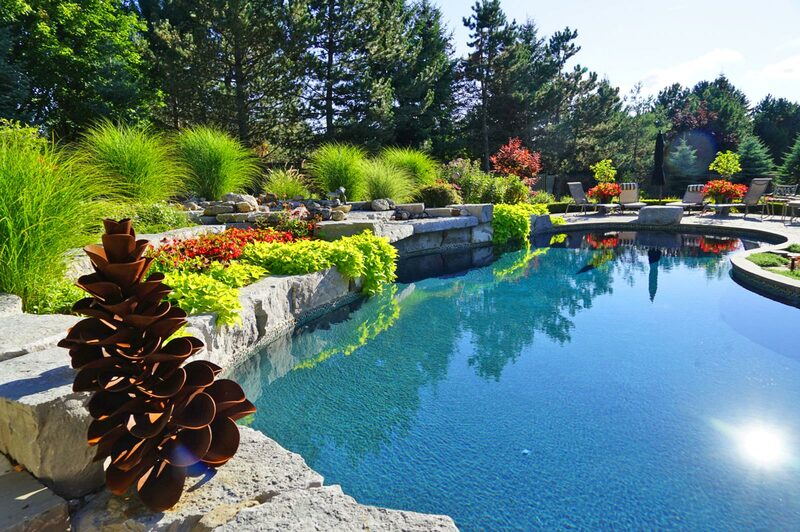 Ajoi Landscape Design was selected to help improve this large, two-acre estate property in Pottageville. 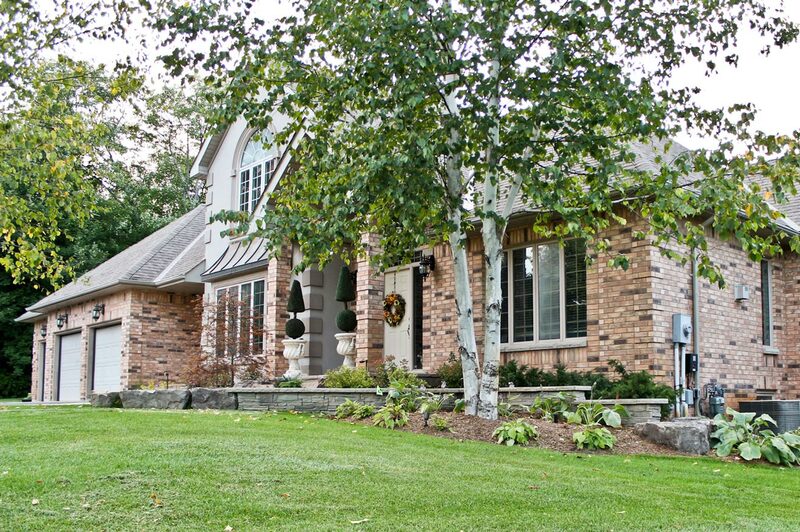 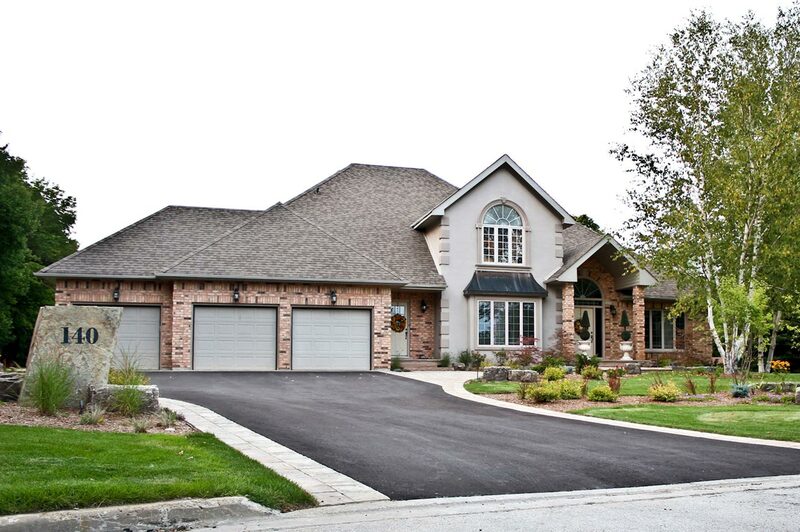 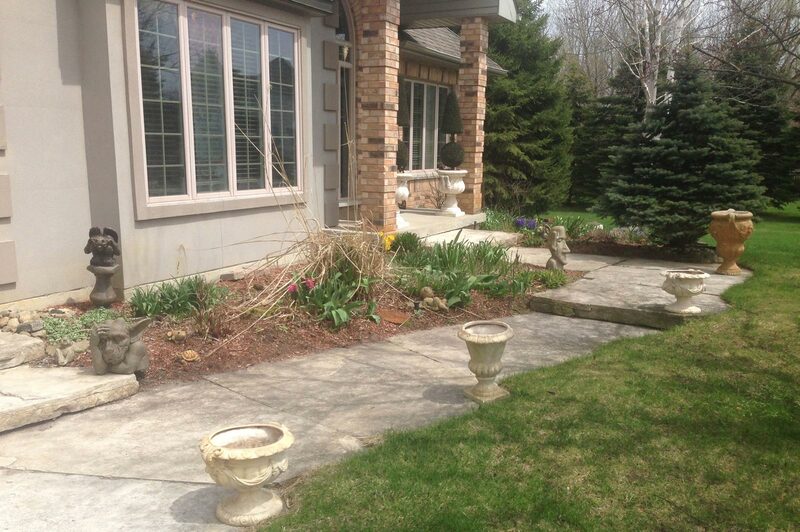 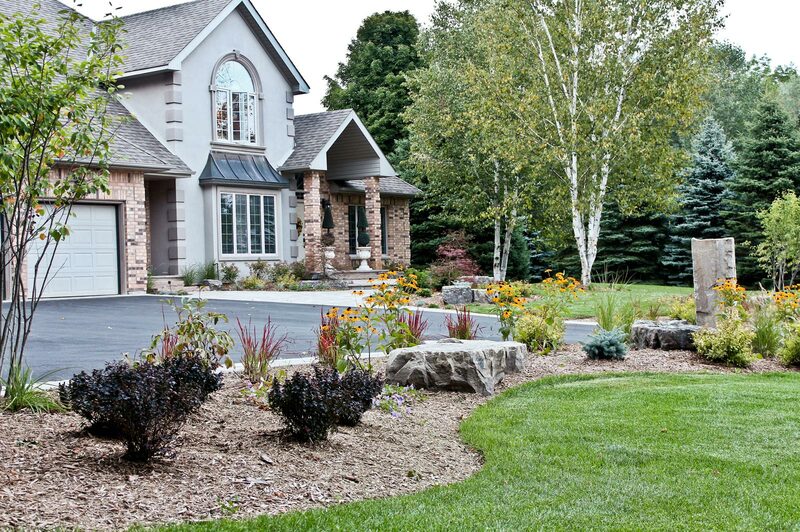 The focus of the project was to improve the aesthetic appearance and functionality of the front yard and entrance way. 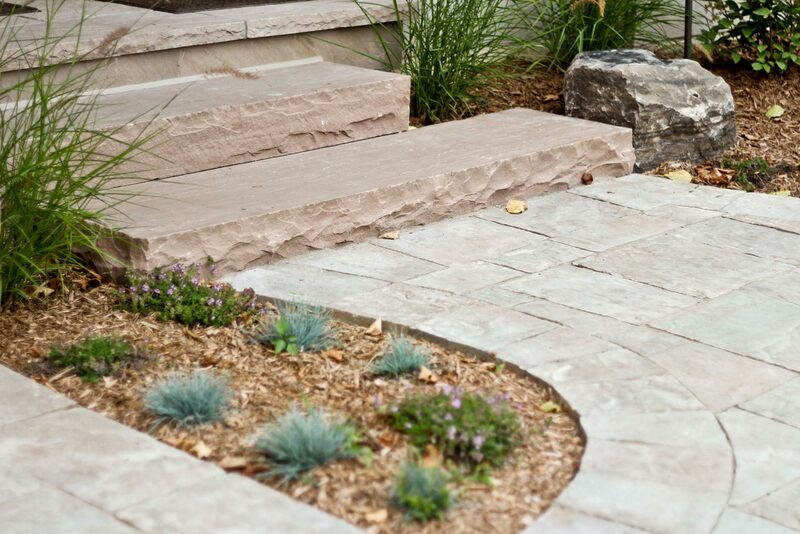 The walkway was completely redesigned, using a combination of straight and curved lines to generate interest with visually-pleasing contours. 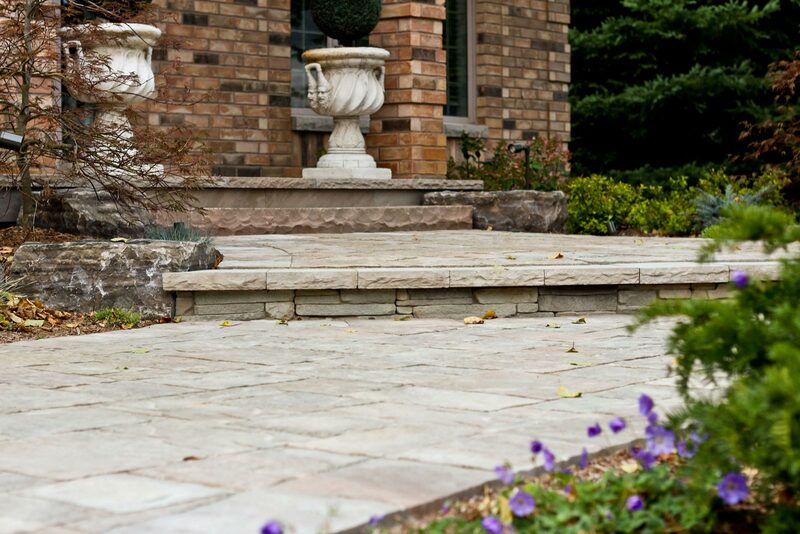 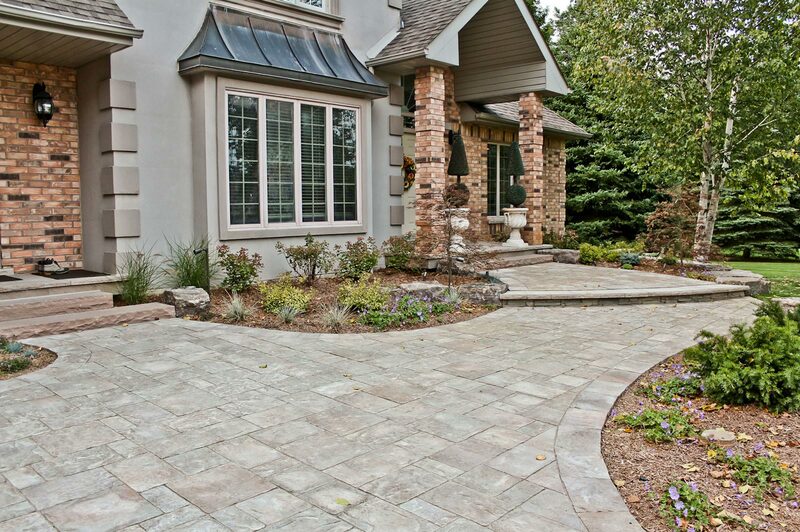 The updated walkway incorporated Amalfi Pavers to achieve a sophisticated and elegant look. 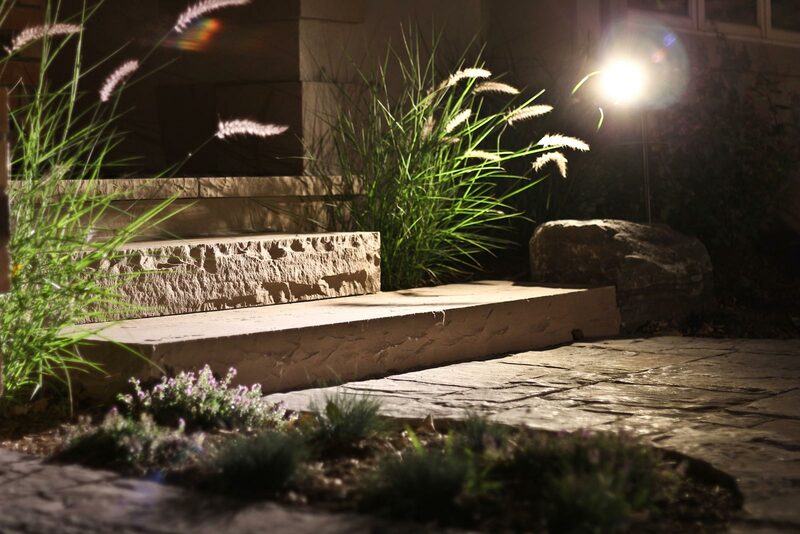 The garden received an overhaul with the introduction of seasonal plants and flowers to bring colour, texture and life into the design. 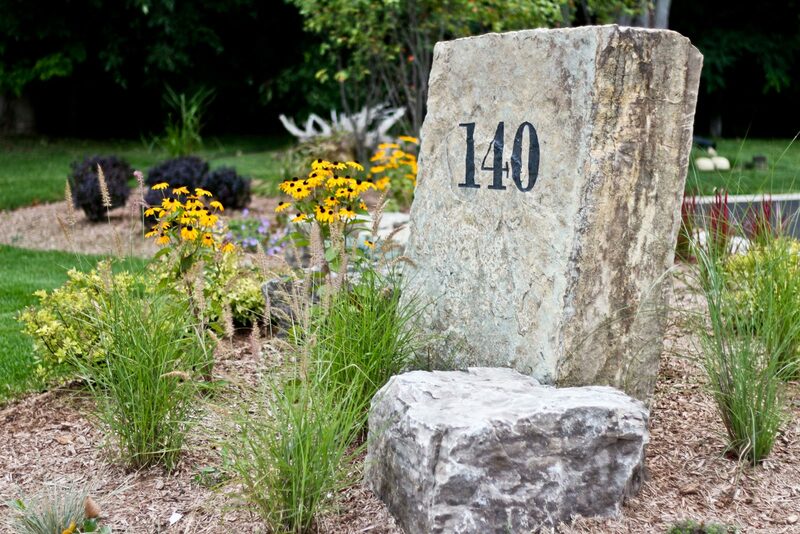 For a unique personal touch, a rock with an engraving of the home number earned a spot of distinction in the garden. 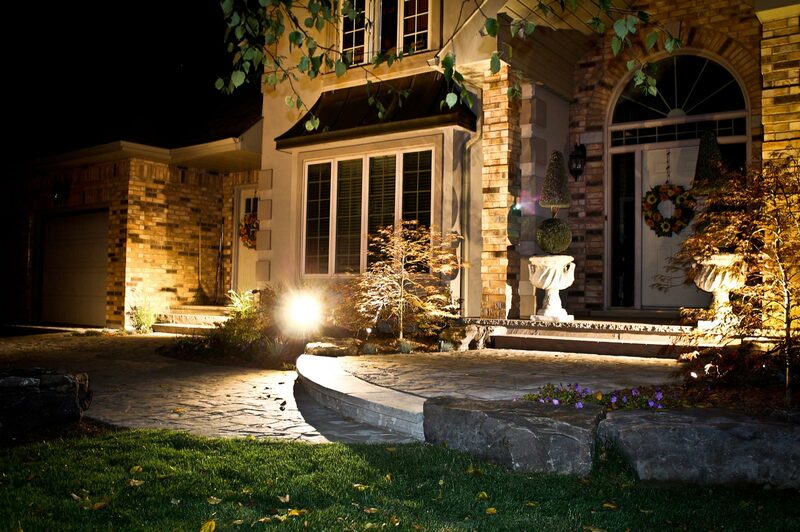 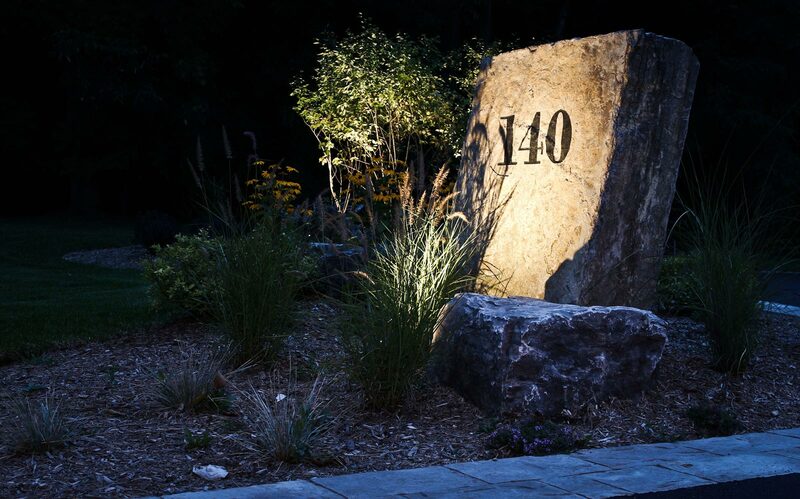 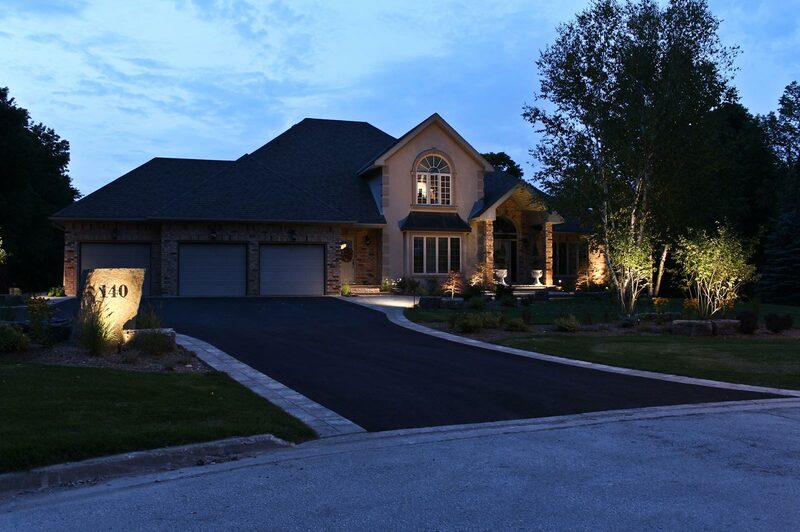 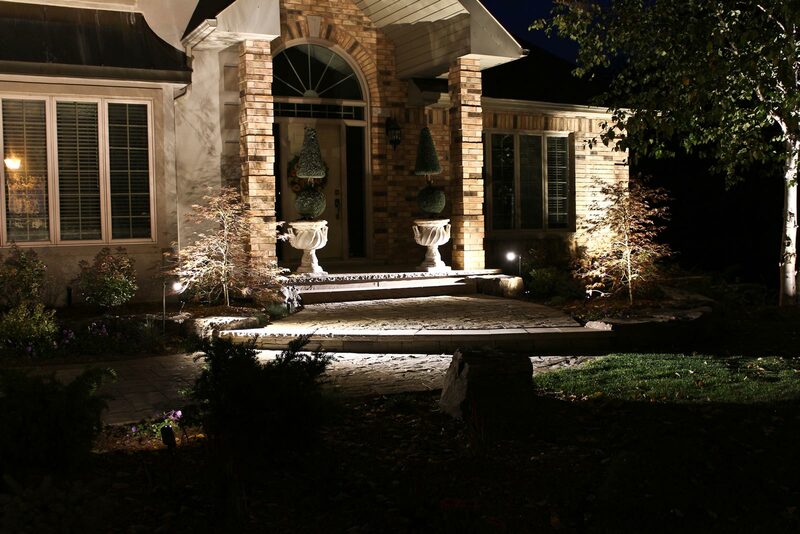 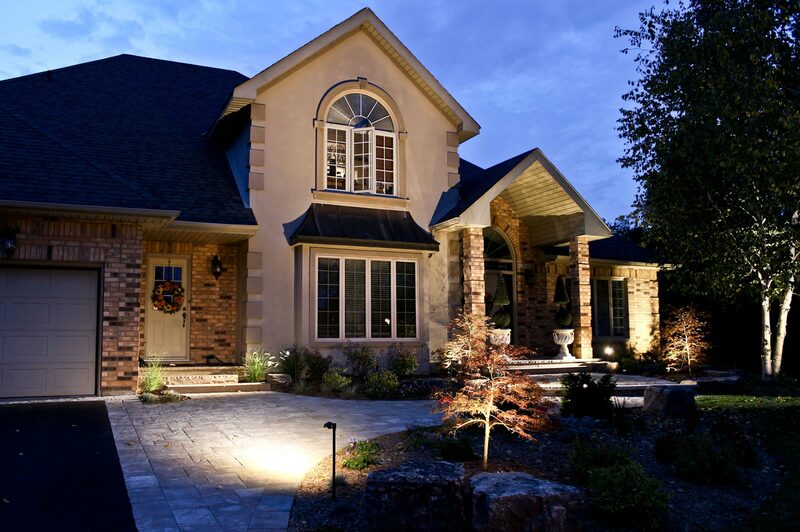 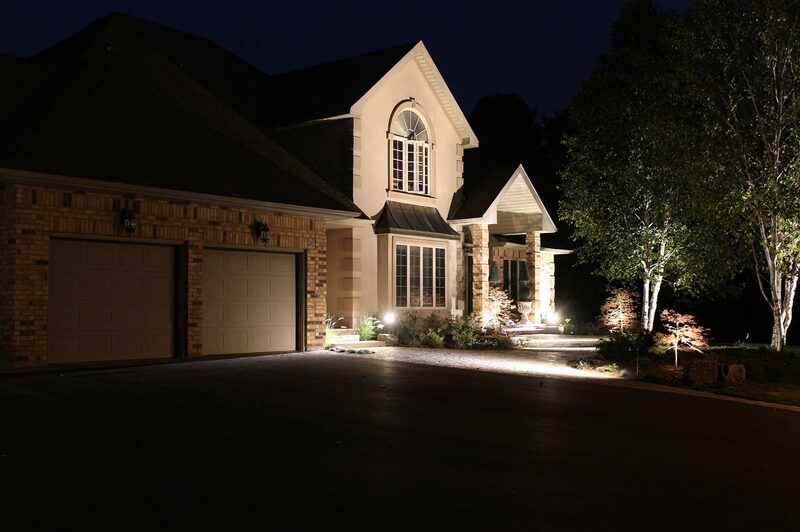 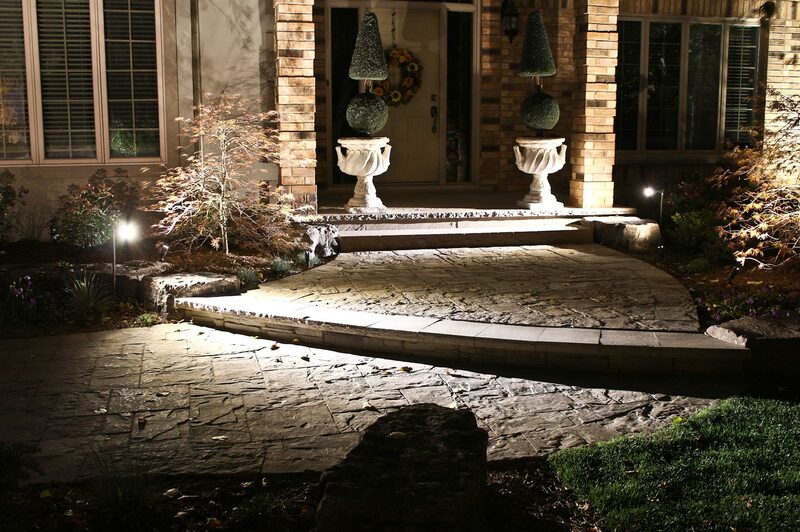 Ajoi Landscape Design then installed architectural LED lighting to highlight the new features of the landscape, as well as to provide interest and accent lighting when the sun goes down. 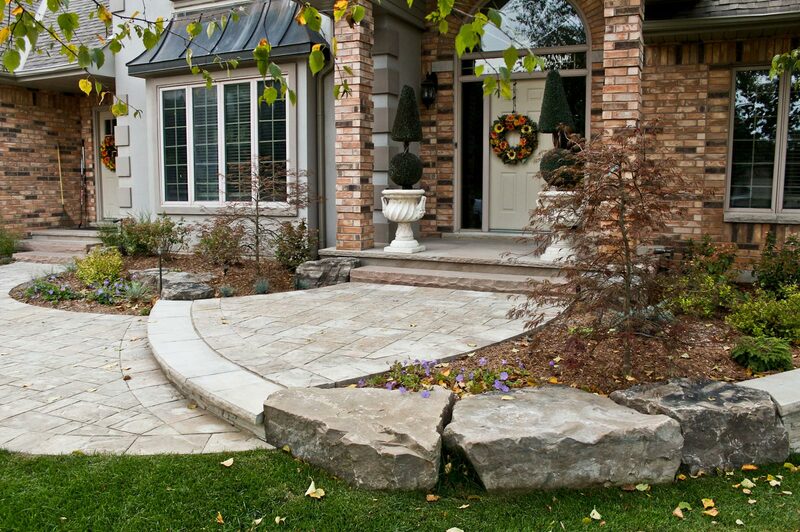 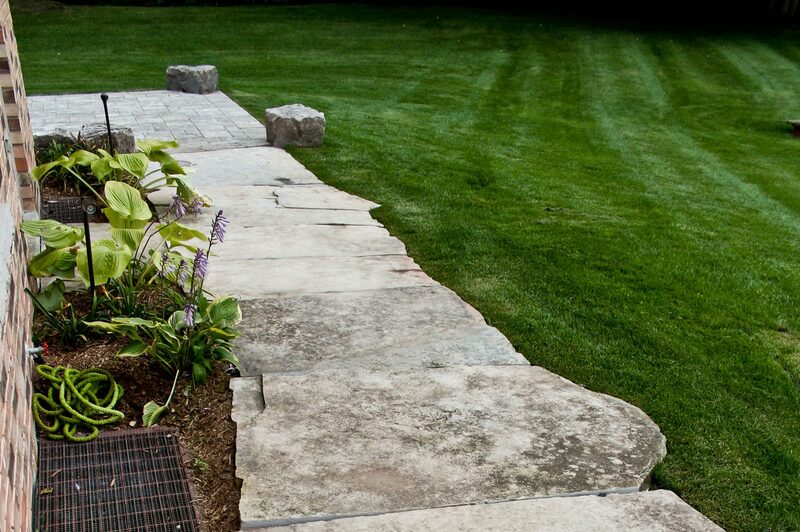 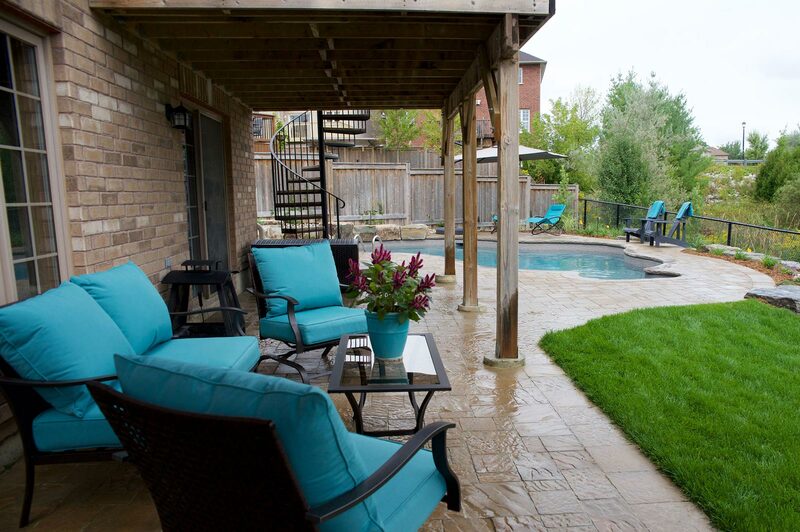 As an added benefit to the homeowner, Ajoi Landscape Design was able to efficiently make the most of existing materials by incorporating the existing flagstones into a backyard walkway. 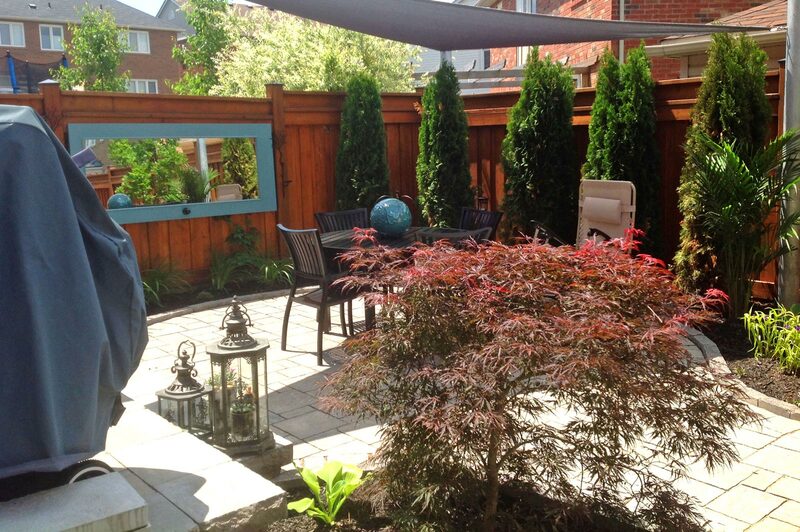 We love the final outcome and our neighbours and friends have been equally impressed.